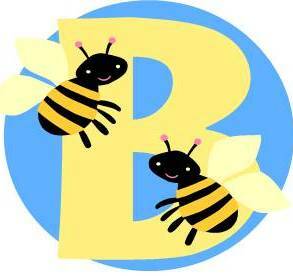 Momma Bee Daisy: Do you like Contests & Sweepstakes? Do you like Contests & Sweepstakes? Win a Harley! Advance Auto Parts & Pulstar Spark Plugs sweepstakes. Better Homes & Garden $5,000 Dream Garden Makeover Sweepstakes (enter daily). You DO NOT have to subscribe to enter. http://www.bhg.com/free-stuff/?psrc=S1105BSRVNAVFREESTUFF Other BH&G sweepstakes offers. https://www.facebook.com/mybhg?sk=app_183053251738968 LIKE BH&G on Facebook, enter a $10,000 sweepstakes, and get 1 FREE issue of Better Homes & Garden magazine. https://secure.bhg.com/common/contest/member/contest.jsp?regSource=0928&contest=bhgAHsummer2011 $25,000 Switch & Change sweepstakes. After contest entry, look for button to “Get Coupons” for Arm & Hammer. http://www.lhj.com/lhj/file.jsp?item=/contests/LHJ_WalmartShopping2/lhj_splashsweeps_win1000_WalmartShopping2&temp=yes&psrc=S1105KEO3638S150 Ladies Home Journal $1,000 Wal-Mart Shopping Spree contest. http://www.fastfixin.com/, click on PROMOTIONS tab for Kid’s Night In promotion for FREE DVD rentals. Click on “Where to Buy” tab to search retailers in your area. Also, click on the “Coupons & More” tab for opportunities for coupons and other offers. https://subscribe.hearstmags.com/subscribe/redbook/67839/IEAEJ0350?sub_option=1 $250,000 cash sweepstakes from Redbook magazine. http://www.bettycrocker.com/coupons-promotions/sweepstakes/smoressweeps?WT.dcsvid=NzE4MDY1NDg0OAS2&rvrin=C1AE7BAB-5818-464E-9FE4-E9FD0D0B7542&WT.mc_id=Newsletter_BC_06_09_2011_DealofWeek Summer of S’mores sweepstakes ~ $5,000 grand prize and 25 runner up S’mores baskets valued at $45. Gluten Free Bakers contest: http://www.glutenfreely.com/bakerschallenge Better Crocker Baker’s Challenge Gluten Free Recipe Contest ~ $5,000 grand prize and chance at 10 gift basket finalists.